Enroll now for the internal futsal competition! The enrollment for the internal futsal competition is open! The competitions are weekly on Friday and will start on the 9th of November. 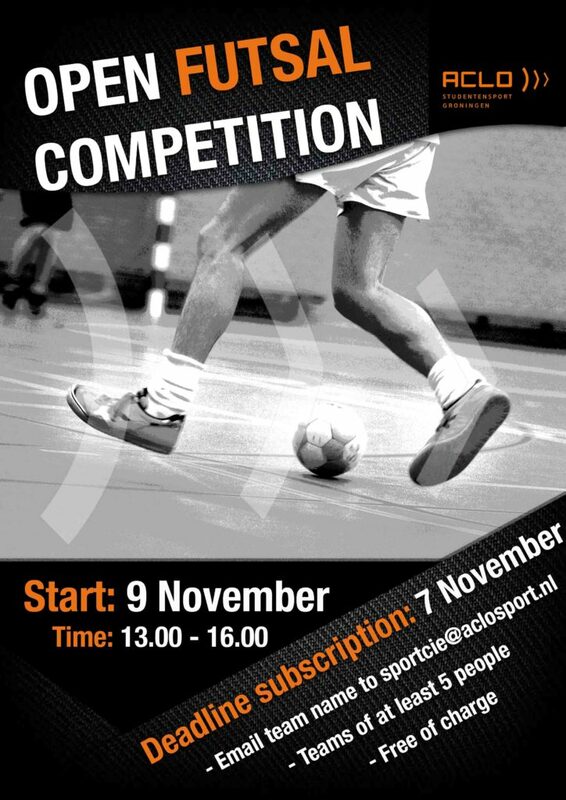 Sign up with your team by sending an email before 7 November to sportcie@aclosport.nl. Participation is free on display of your ACLO Card. Note: After your team has been enrolled, weekly attendance of a team (at least 5) is required! First come first serve!